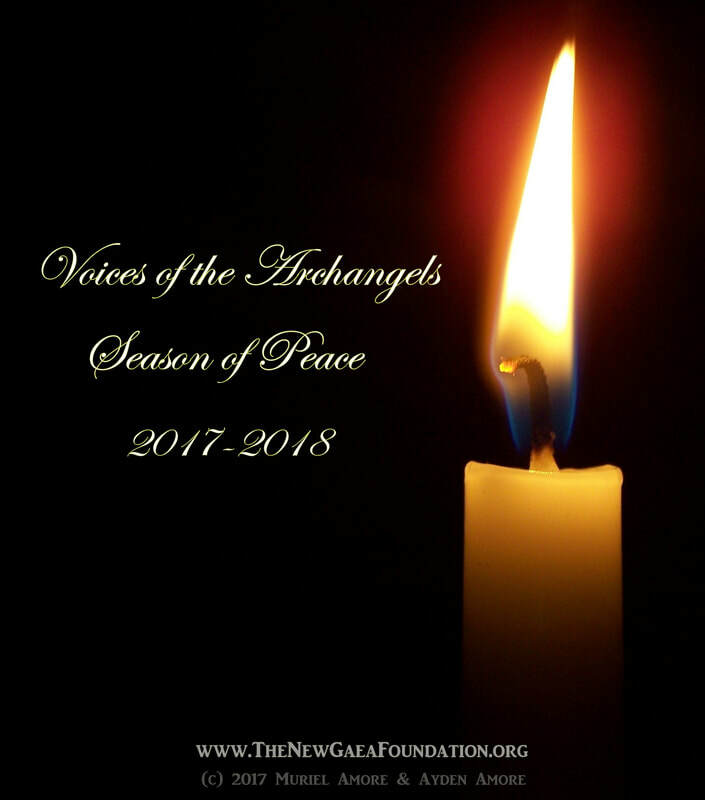 “Yes, then, it is I, the Archangel Uriel, and I would speak to you at this time as you engage in your Season of Peace reflections and celebrations. I would speak to you on the gift of Strength. As you have already been spoken to about the gift of Peace, and Truth, and Understanding, and Illumination, Joy, and Grace, all of these can be considered components of Strength. For, in your Peace, you find greater Strength. For, in Truth, you find greater Strength, and so on. Each of these is a component of Strength, and there are many. There are many different aspects of Strength, and there are many different ways to look at Strength. for your own choices and your own changes, as well as those to come in the world around you. There are many, many changes coming now, more so than at any other time in the history of the Earth and the history of humanity. There are changes coming, and you are going to need your Strength. One of the most important elements of Strength to look at is your own sense of morality. And, you must take a look at yourself in the mirror. You must reflect upon your own nature, your own Truth. And, you must Understand yourself. You must Understand where you need help. in the guise of living Peacefully, living Truthfully, compassionately, and so on. This is a big change from where most people have been, because it requires that you find your Strength and your Truth through every aspect of your Life. to living Peacefully, Harmoniously within the world that you live in. to have dominion over any other being. has another being of Life been given this right or this power. and, it may not even be your own money or your own greed. It may be someone you work for. It may be someone who controls a part of your Life. Perhaps it is a landlord. Perhaps it is some faction of political expectation. But, must you? When it is time for you as a society, you as a race, as a species, when is it time for humanity to say, ‘We need to go back to our roots and find our real Strength as human beings.’? What does that mean to be strong as a human being? Does it mean having big, fancy cars and lots of money in the bank? Being strong, as a species, being strong, as a family, a community, a country – what it means is that collectively you are strong because you share each other’s burdens. You share each other Joys, your failures and your successes. You make each other stronger by being strong yourselves. And, as you are strong yourselves, you make everyone around you stronger, as they make you stronger. Together you are more than you can ever be apart. like the ripple in the pond. And, compassion is one of the inherited parts of your moral compass, and so many ignore it. Each of you knows you should be kind and compassionate. You should be considerate of others’ feelings. But, how many really follow that inner guidance, that inner inclination toward kindness and compassion? But, many throughout your world do not. They look at it as a sign of weakness, when it is not. That is true Strength. Being without compassion is an Illusion. Being focused on self all the time, putting self first is an Illusion of Strength. That is not Strength. That is an Illusion, and it will be the downfall of whoever practices that mentality. And, therein is your Strength. And, you must follow your inner guidance from your Heart to find that Strength. You must follow your inner moral compass. Be kind. Be compassionate. As we speak of sharing, and reaching out and touching others with our compassion and our kindness and our Strengths – be they Truth, or Peace, or Love, Grace, whatever it might be. As we reach out and touch another, we redefine what family is. And, family, as has been spoken in the past, is one of your greatest Strengths. But, family in its proper term has little to do with bloodlines and everything to do with Love lines. Those with whom you share Love are your family. Those with whom you share Love in Truth, in Illumination, are your family. You need not be defined by genetics. You need not be defined by blood. to cover your eyes so that you may not see the stars above you. You may not see the Truth of your family. And, you must take the blanket away from your eyes, and see what is Truth. No being should be defined by bloodlines when it comes to family. those who are like in Heart and in mind. And, these people, these beings – be they human or not – these are your family members. And, at some point, all of you will realize that you are but ONE family. And, when you do, you will find your greatest Strength that is possible. Because, when you act as one family – Loving each other, caring for each other, sharing with each other, lifting each other’s burdens up, and sharing in the Joys of Life – you will fulfill the potential of all of humanity. And, when you do, you will find yourself living in a paradise of Peacefulness. This is your goal. Now, how to you get there? How do you get to that place of one family? Is it enough to recognize that all humans are of one family? No. And, it is not just humans. ALL beings of Life are part of ONE family. And, in Understanding what ‘all beings of Life’ mean(s), again, you are finding greater Truth. You are building your own Strength. All beings of Life include: the four-leggeds, the two-leggeds, those that are winged and finned, those that swim in the oceans and crawl upon the Earth, flying in the skies. It doesn’t matter where they are. Perhaps they have roots and grow down into the Earth and never move. There are so many forms of Life. The rocks beneath your feet. They have Life. They have a consciousness. The trees and the grasses, the flowers, all of these things. Everything. Everything is a being of Life, from the tiniest microbe to the mightiest being ever. And, once again, I speak not just of those of you who are here. I speak throughout the Universe of Universes. Throughout the Cosmos there are beings of Life that you can and should share Love with and consider as a part of your family. and sharing it through the Heavens. But, for today, let us think again about how you begin. What is the first step in finding your Strength, in finding your Truth, and so on? And, it begins with self-reflection. You must first examine yourself honestly. What are your Strengths as you see them? What are your weaknesses? And, then put on the eyeglasses of Peace, and go back and revisit all of those things again. And, when you have filtered out that way, look again with the eyeglasses of Truth. Is it Truthful? Are you being Truthful with yourself? Is what you are seeing Truthful? And, do it again, with the eyeglasses of Understanding, and Illumination, and so on, and so on. And, continue on until you have filtered down and honed yourself to the point where you can see your own real Truth and your own real weaknesses – the areas you need to change. And, start with one step. And, then take another and another. And, soon you will find it is not so hard. It is not so hard to change yourself. Then, you must take those changes outward to those that you interact with – all of the beings of Life that you interact with. shall you find your own Strength, and shall you share it with others and help them find their own Strength. You all want to walk a path of Peace. You all want to walk a path of Truth, and so on. Let Justice be part of your Strength. In their food situations? In their living and Life situations? Think about that, because that is part of your Strength, too. To stand in your own Truth, and stand upon your own moral compass, and assist someone else who is weaker than you are, who is being persecuted, that is a Strength, not only for you, but for that person whom you offer your assistance to. You must come together and help each other. Again, this goes back to that Illusion of independence, of separatism. That is all Illusion. You are not separate. You are like fingers on a hand. Each of you many have its (your) own Purpose, but you are all part of something bigger than any of you are alone, and you are all connected. So, what happens to the neighbor up the street when he or she experiences violence also happens to you, because it touches your energy. And, it will weaken you. To find Strength, come together. It doesn’t matter what being of Life it is, from the tiniest microbe to the mightiest whale. It doesn’t matter. Stand in your Truth. That is Strength. All the gifts of Life are a part of Strength. So, foster these gifts and make yourself strong. In the days to come, you will need this Strength. As I said, there are many, many changes coming, and some of them will be greatly challenging. And, when these times come, you must stand upon your own Strength, and be strong for your Loved ones, for your family members, and join together so you are all stronger as one unit, as one family. And, rest assured that we are here with you to Support you through this Time of great change and great challenge. But, be not afraid of your own Strength. That is why you have it. It is there for you to use. So, be not afraid of it. And, thank you for listening, and for being strong. This is a Time for Strength. Do not hesitate, and do not give your Strength away. Do not give your power away. Keep it. Foster it. Nurture it, and live it in Truth, and share it. That is all for this moment and this time. as do all of the Heavens. That is all for this time, Beloved Ones.